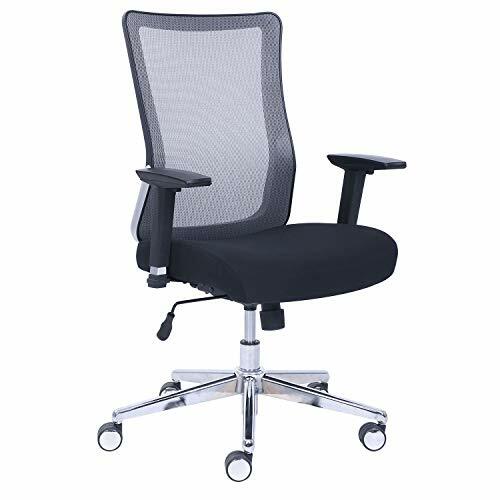 This office chair has a breathable mesh back with adjustable features offer comfort and support. The ajustable arm allows the user to raise or lower the arms to help prevent shoulder strain. Seat height adjust function customizes the seat height so your knees are at a 90 degree angle for proper circulation. Low lumbar support adjusts the amount of pressure needed to recline the seat back. Swivel-tilt mechanism allows the seat to recline or remain locked in place for your own personal comfort.